UK debate has become heated, as parents who pull their children out of school to holiday during term are now liable for fines. These restrictions are further exacerbated by the new findings on car holiday prices shooting up as much as 30 percent during the weeks immediately preceding the start of the summer holiday and often doubling by holiday season. Granted, all car hire prices are not “doubled”; however, Which? Travel found many car hire rates to be significantly inflated. The highest price discrepancies came through Barcelona airport. A small car hire averaging £50 per week in June for a 50-year-old driver, jumps to nearly triple that amount, driving up 176 percent in August to £138 per week. Dramatic price increases were found at Málaga airport as well, increasing by 152 percent from June to August, starting at £49 and jumping to £123. Portugal’s Faro airport sees a 109 percent increase in a small car hire from £64 in June to £134 in August. A large car price also rose significantly from £148 in June to £280 in August, an 89 percent increase. Holiday car hire prices in the United States are also notable, though not nearly as dramatic. Which? found that August car hire prices in New York rose from June’s prices by £26 (14 percent) on average for a small car, and £31 (16 percent) on average for a large car. New York’s car hire prices are high year-round, so this makes the average August car hire cost for a small car to clock in at £205, and for a large car around £223. This research shows that the UK’s fines for an unauthorized absence during term (which amount to £60 per child per unauthorized absence) may be lower than the inflation in car hire costs during the summer holiday. An analysis of the weeks preceding the 2014 summer holidays in England showed Which? that even after paying the strict fines, 11 out of the 12 holidays researched were cheaper during term time. 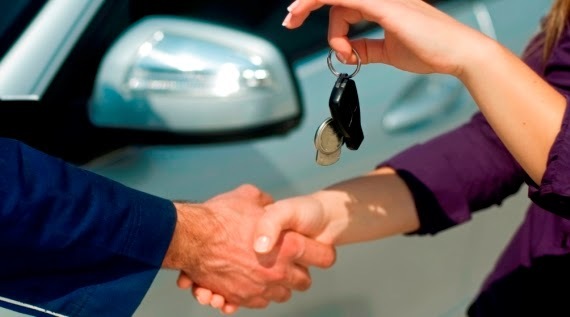 The average car hire costs were researched across 12 months. Which? gathered weekly rates for both small and large cars in Spain, Italy, Portugal and the US, from Skyscanner.com in January of 2014. The rates account for the average price determined by car type and destination per month, without including extras such as waiver fees.